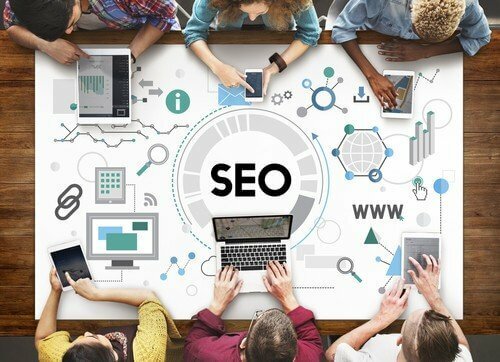 Whether you are looking to significantly improve your website’s performance or kick-start a new website for 2018 we have listed three important SEO quick wins you can do right now to improve engagement with your visitors. Regardless if you are looking to improve your mobile or desktop website, speed is something you should always continue to monitor and improve. Below are several items you should take into consideration when boosting your website’s speed. File size optimization. When it comes to optimizing image SEO, reducing a high-quality image to 80% can still maintain its crisp image. Download editing programs such as GIMP, Photoshop, or even Paint will give you the ability to do so. Browser caching. Browser caching allows you to speed up your website by storing files locally in the user’s browser. If you are using a WordPress site, there are free optimization plugins that are used to speed up your website; we recommend using WP SuperCache and WP Fastest Cache. Start preparing for Google’s mobile-first index by focusing the quality of the mobile site. Website objective. Imagine a fresh new user entering your website, where would you like this user to do here? Is the navigation to reach that goal easy to use? Write great content. A user’s behavior on mobile differs to the desktop, especially when reading content. You will need to do keyword research and set up an engaging site structure to keep your mobile users engaged with your site. Serve your content in the right format. There are so many different platforms to serve your content, let’s take a look at some examples that may help you understand which format is right for you. AMP. Accelerated Mobile Pages deliver your reader the best mobile experience they can get by displaying a basic design of your website. Is it a bad thing? No, it is not. In fact, it decreases any complex design which creates a better experience and increases the chance of the user coming back to your content. Schema.org. Adding schema to your website creates a suitable summary for every other site that wants to use your content. Also, Google can add your company to Google Maps if you are in the industry that needs to be found.